The Fitzpatrick family has a great sense of style. Jill Steele knew that immediately as soon as she walked into their foyer. 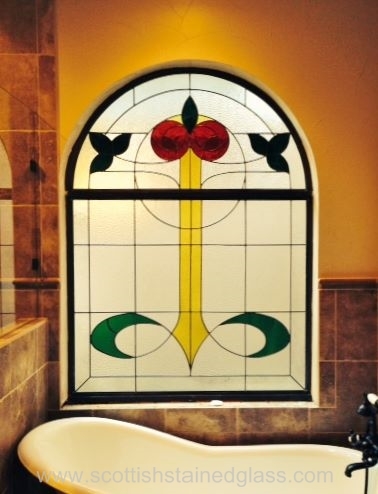 Unlike many clients, the Fitzpatrick’s don’t have sidelights next to their grand front doors, rather, they have two gorgeous corridors of stained glass glass on each side! On Jill’s first visit to their home, she couldn’t help notice their all their beautiful windows. Mrs. Fitzpatrick was intent on creating more privacy while not sacrificing the light that came through these great windows. 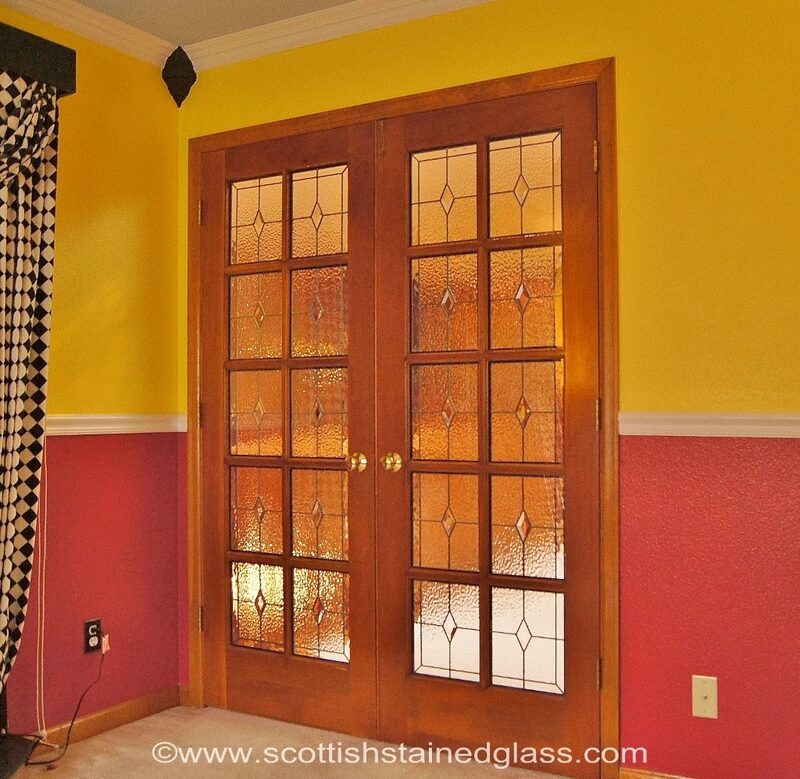 She had heard great things about Scottish Stained Glass’s custom stained glass and had reached out to use for help. 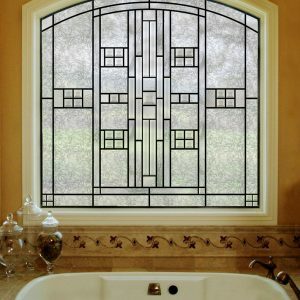 We came up with an attractive design that worked nicely with their bathroom, two windows above the bath tub, and a set of French doors that went out into their courtyard. We combined the two sets of glass with some etched bevel clusters that were similar, yet had two different statements. 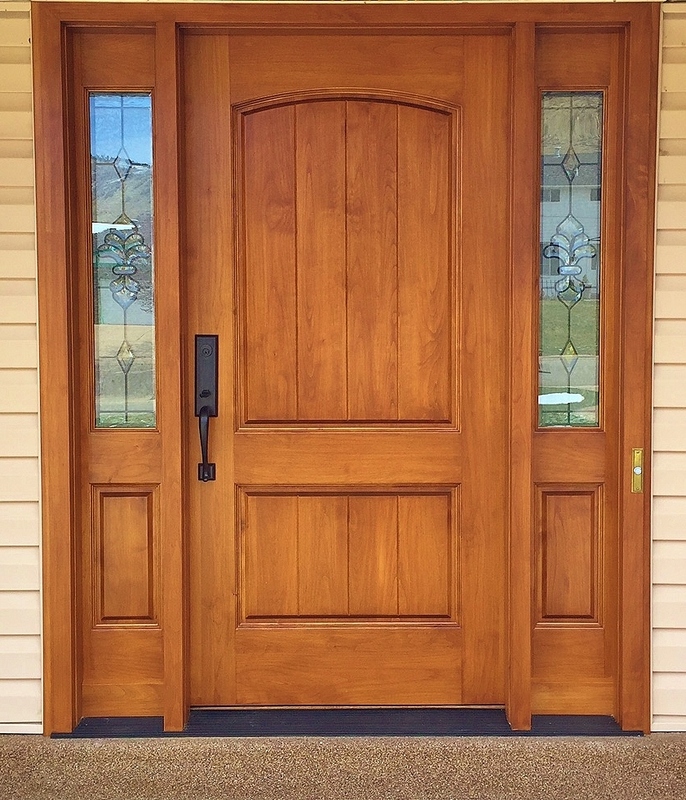 The French doors we dressed up a bit more adding an inset bevel border and a larger cluster as the focal centerpiece. Our next project was to create a design that resonated both their nationalities for their dining room French doors. She comes from British roots and he is of Irish descent. 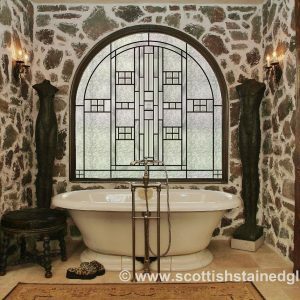 We embarked on a Celtic clear glass center piece then brought in some European corner stained glass clusters that tied the two origins together. We used our water glass texture in the field and the border glasses to create an elegant, yet charming look for their formal dining room, a place they love to entertain and enjoy a nice meal with their large family. The project expanded further as we suggested adding transom windows the their glass enclosed walkways. We chose a fairly simplistic design to bring the beveled stained glass pieces prism quality into their corridors and to allow the eye to draw itself upwards created a dramatic feeling, to enhance these two unique areas. 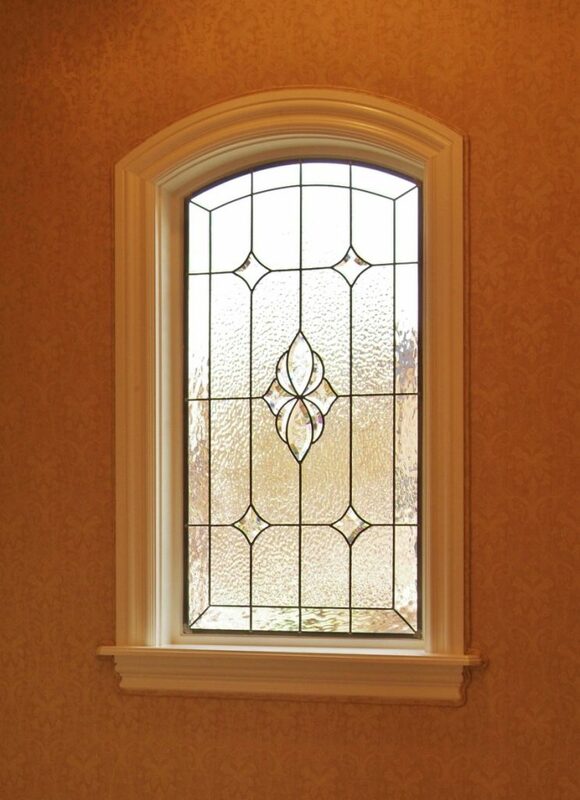 They were pleased with the results and enjoy entertaining in a space beautifully enhanced by our custom stained glass! They were very enjoyable to work with.